Yesterday, we posted an Image based MCQ on Facebook, Instagram, Tumblr and Twitter - And as promised, here is the answer! Q. What type of stone is this? Hint - This is the most common stone worldwide. The correct answer is B. 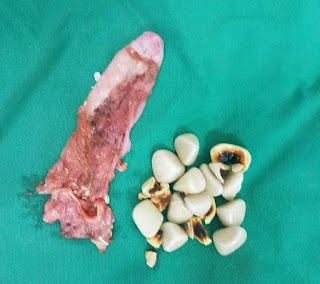 Mixed gallstone. 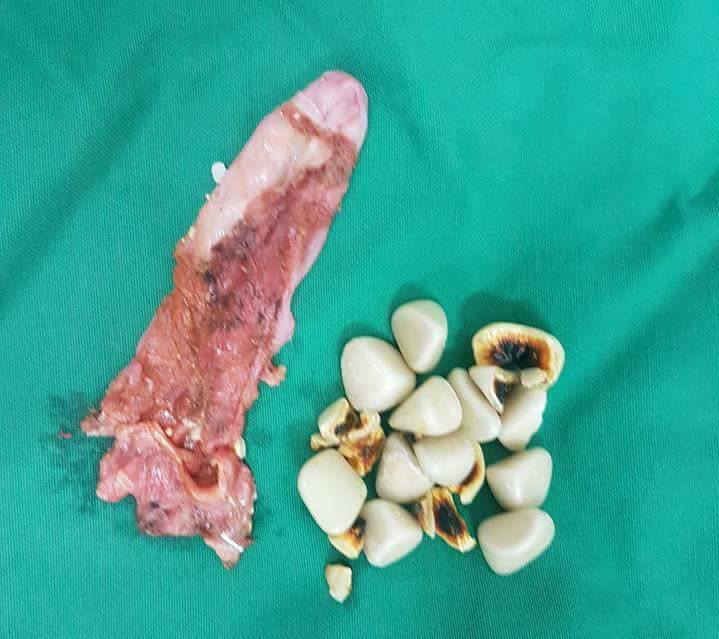 The given pathological specimen shows a Gall Bladder removed after cholecystectomy and multiple faceted stones found inside it. Stones are multiple in number, the cut section shows the central brown core which is pigmented surrounded by whitish/pale layer of cholesterol making it a mixed stone. Hope you enjoyed this question and we will be back with another one soon! I am still confused. I found on internet htat cholesterol stones are the most common stone. Why are pigmented stones more common worldwide? In the United States and Europe, 80 percent are cholesterol or mixed stones whereas in Asia 80 percent are pigment stones. Cholesterol or mixed stones contain 51-99 percent pure cholesterol plus an admixture of calcium salts, bile acids, bile pigments and phospholipids. Bailey and Love 16th edition. Why do newborns have a higher heart rate? Placenta Previa : Why it occurs.